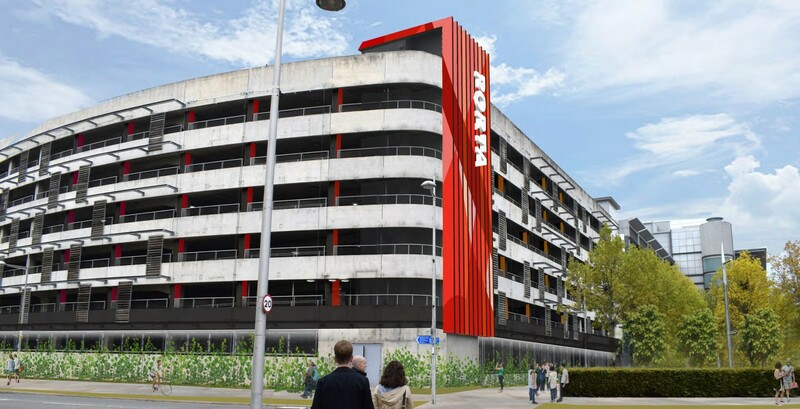 Resolution Property have brought forward plans for a significant facelift to Edinburgh’s Ocean Terminal Shopping centre, rebranding it as the Porta Centre in the process. A design submission by Threesixty Architecture outlines the full refurbishment of entrances and the façade with a vibrant colour scheme modelled on the Royal Navy’s dazzle camouflage luring shoppers inside. Outlining their colourful approach the architects wrote: “One of our key objectives for the fresh of Ocean Terminal was to inject colour and warmth into what is a high quality but rather sterile mall environment. Mirrored panelling, translucent polycarbonate and an illuminated light box will be used to achieve this effect, working with textured steel, mirrored panels, concrete and timber. Bolstered by the Newhaven tram extension and significant residential development the scheme seeks to take the form of a ‘town centre’ with complementary leisure, community and civic functions in addition to retail. Communicated by the new outward facing façade. Ocean Terminal does need a facelift - the many leaks have been visible in the centre over the past few weeks with the bad weather. That being said this is a very user friendly shopping centre with a good cinema and a decent gym. Whilst it may need some maintenance what it really needs to new management who will stop being in pound land outlets and calendar shops! In regards to these proposals I don't think there will be a significant change, especially as the attractive frontage was ruined when they tacked on that H&M extension which ruins the symmetry of the building. If you listen carefully you can hear Sir Terence Conran choking on his Pinot Noir. The second picture is very reminiscent of the Poundstretcher logo. Ocean Terminal has always struggled because of the redevelopment of Leith taking so much longer than expected. That being said it's a very oddly conceived building: its USP is being next to the "ocean", yet the quayside is used for servicing and shoppers have to go out of their way to glimpse the water. 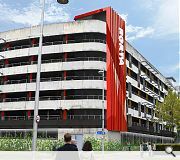 Whereas before it looked like a shopping mall with some car parks now it looks like a shopping mall with some car parks that have been painted. Forget about wasting money on rebranding and get some decent shops in this place. Yes it's got a great cinema and gym but it's a shopping centre thats missing many of the popular high street brands. A mcdonalds wouldn't go amiss either! The bottom line is that Edinburgh's population growth projections are huge, and yet we are probably the only city, certainly capital city, that has an underdeveloped waterfront. The tram, despite the naysayers, is going to benefit Leith and Newhaven hugely. They now need to concentrate on the extension to Granton/complete the loop, and leave it to the private sector to develop homes that people actually want. Not cheap and badly built flats. The future has never looked brighter for North Edinburgh. 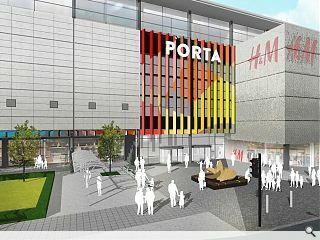 I hope 'Porta' gets the balance right so it's offering is right for the locals and it is not at war with St James. Fine line here methinks but plenty going on. All we need now is for CEC to wake up and sort their planning department/building control out. That's the real issue here. Total farce. When will the public sector sort themselves out? It's a pretty solid hot-take to look at the mess made of the Waterfront in the last fifteen years and think, "yes, it's the Council that are to blame", rather than, I don't know, Forth Ports, or all the developers who went bankrupt, or the vulture offshore funds holding onto land, or the banking sector for crashing the housing market and the economy that was fuelling the redevelopment. #9 - I never said the Council are to blame. I'm talking about their structure and pace to make decisions on applications currently and, even more importantly, moving forward. The ball is at their feet in Edinburgh right now and instead of scoring goals there seems to be one big game of 'keepie uppie' going on. In terms of all the organisations you've chosen to have a go at, everyone made calculated risks. That's how business works, as do economies. Let's look forward now and get the future for North Edinburgh right. Forth Ports are clearly a huge part of this and I hope they grab it. The dazzle camouflage looks awesome. 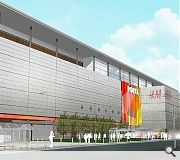 Original idea and will translate really well across the different mall materials. Can’t wait to see it! Where does the name "Porta" come from?